NEWPORT BEACH, CA--(Marketwired - Aug 16, 2016) - Bixby Land Company has expanded the firm's industrial portfolio with the $10.2 million acquisition of a 104,500-square foot warehouse and distribution building at 19949 Kendall Drive in San Bernardino, Calif. The transaction represents Bixby's continued high level of interest in purchasing stabilized, institutional quality industrial properties in primary West Coast markets. 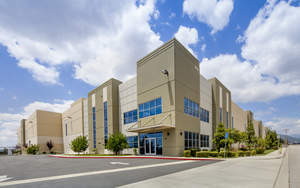 "This acquisition is part of a broader investment strategy to increase our core industrial holdings in markets where sound real estate fundamentals complement the income certainty from established tenants on long-term leases," said Mike Severson, senior vice president of investments at Bixby Land Company. Bixby's interest in newer industrial buildings secured by long-term leases is on the rise, following three similar acquisitions in the Seattle, Wash. area earlier this year. An active investor in value-add office redevelopments for the past five years, Bixby is now focusing more of its investment activity in the industrial sector. "This acquisition fits very well within our investment strategy to add institutional grade industrial assets in the $5 million to $50 million range," added Severson.